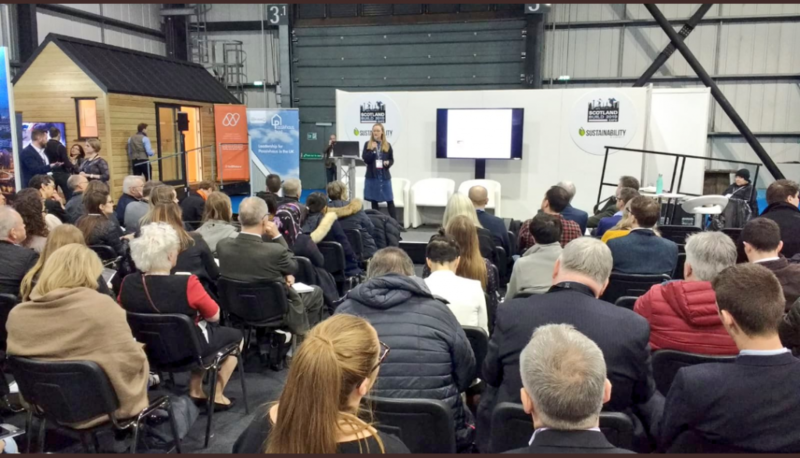 Bestselling author and Passivhaus expert Sarah Lewis, who heads up Hamson Barron Smith’s new office in Edinburgh, was a keynote speaker at Scotland Build, the leading and largest construction show in Scotland. Sarah chaired the Passivhaus Conference at the event and presented a 1950s Passivhaus EnerPHit (retrofit) home in East Lothian to the audience, explaining how the finished building should deliver energy savings of around 80%. Sarah also hosted a session on ‘Affordable Passivhaus Homes’ on day two of the conference in Glasgow sparking a lively Q&A session. Sarah’s book, PHPP Illustrated, is in its second edition and gives readers the knowledge and tools to use The Passive House Planning Package (PHPP). The book offers a concise, user-friendly and highly illustrated guide for practitioners and students who want to use the PHPP as a design tool. Since joining Hamson Barron Smith (HBS) in 2014 Sarah has been project architect and Passivhaus consultant on a number of innovative and multi-award winning projects. She has worked on some of the UK’s largest Passivhaus developments. Sarah has received many accolades in recognition of her contributions to UK low energy architecture, including the 2018 European Sustainability and Environmental Women of the Year (European Women in Construction and Engineering Awards – WICE). *Hamson Barron Smith is part of the Norse Group and delivers architecture, surveying, building services engineering, engineering and strategic development consultancy services to the commercial and public sectors.